Innovation in healthcare is full of challenges, but also luring with great rewards, in the case of successful implementation. Both industry mastodons and newly-born tech startups are looking to disrupt the way healthcare work making it more efficient and accessible. The appalling startup Teranos aimed to achieve just that: make blood testing quick, cheap and at patient’s convenience. Unfortunately, Elizabeth Holmes, CEO, lacked integrity and fooled her patients, investors, and ultimately herself: the value of her startup went from $9B to 0, with lawsuits outstanding. The case of Theranos shows that public and investors are craving, sometimes blindly, for wonder devices that would disrupt healthcare: equipment to run the diagnostics of organ systems in minutes, helmets to control the mood, 3D bioprinters to re-create any dysfunctional part of human bodies. According to a report by Grand View Research, healthcare sector will spend over $400 on IoT devices, software and services in 2022, which is 7 times the level of 2014. We at GoalEurope see healthcare industry as a must-go-to market niche for strong outsourcing vendors. Today software engineers from Eastern Europe work together with thousands of health tech companies from the US, Israel and Western Europe. Thanks to the availability of affordable tech talent in the region, this cooperation is set to grow further. A typical project would fall in one of the three categories: development of software from scratch, revamping of existing products, and processing data from trackers. Our vendors have extensive experience in web and mobile app development for healthcare, as well as in integrating software with infrastructure in place, such as electronic health records system, lab management systems, revenue management software. For instance, the New-York based healthcare communications company Mobile Health One, Inc. partnered with a software development vendor to build MDChat – for web and mobile – a HIPAA-compliant online communications platform that unifies healthcare professionals – doctors, nurses, hospital administrators. Thanks to an outsourcing partnership with a company from Eastern Europe they saved more than $300K. Another good example is the cooperation between a Ukrainian vendor and a leading manufacturer of neurodiagnostic medical systems from Israel. Together they built an IEC 62304-certified pain monitoring and evaluation device to track acute and chronic pain. The Israeli company could focus on its core competence — hardware design and production while outsource the software part, including front-end and integration tasks. “Facelifting” for existing products. The conservative health care sector turned out into a very dynamic one : new health tech startups emerge every day. Thus, we often talk to established market players who need to upgrade UX/UI design of their applications to make them intuitive and adapted to both web and mobile. A lot of digital health products are based on tracking of various parameters and patients conditions. With the availability of hundreds of sensors, technology can help monitor chronic diseases, reactions to medication, pain, heart rhythms, and predict complications or life-threatening conditions. Eastern Europe hosts a number of skillful IoT development companies with strong competences in big data and data visualization. 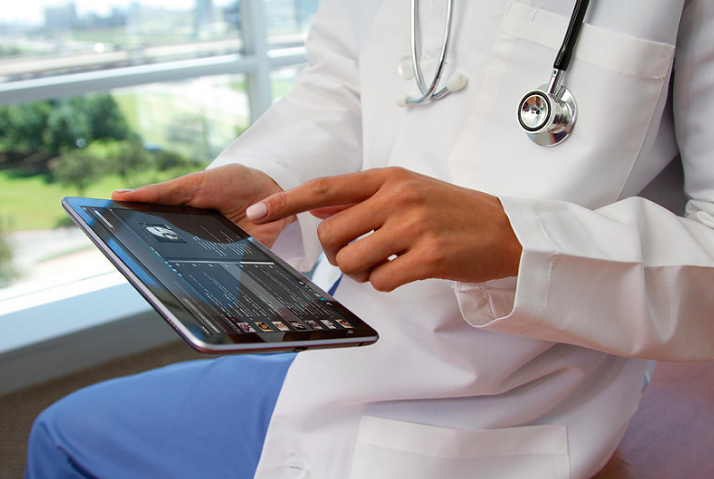 Contact us if you need verified software development partners with strong healthcare expertise.